When I was asked if I would like to try out the Astaxanthin supplement I was keen... however, I got my Astaxanthin late in the post, it came sometime a few days ago and I just got started . According to Suzy Cohen, R.Ph Astaxanthin (pronounced "asta-ZAN-thin") is a naturally-occurring carotenoid found in algae, shrimp, lobster, crab and salmon. Carotenoids are pigment colors that occur in nature and support good health. Beta carotene, for example, is orange. Astaxanthin, dubbed the "king of the carotenoids" is red, and is responsible for turning salmon, crab, lobster and shrimp flesh pink. In the animal kingdom, astaxanthin is found in the highest concentration in the muscles of salmon. Scientists finds astaxanthin helps provide the endurance these remarkable animals need to swim upstream. For us humans, astaxanthin is a powerful antioxidant with broad health implications and unlike other antioxidants, such as beta carotene, zeaxanthin, vitamin E, C, D and selenium. 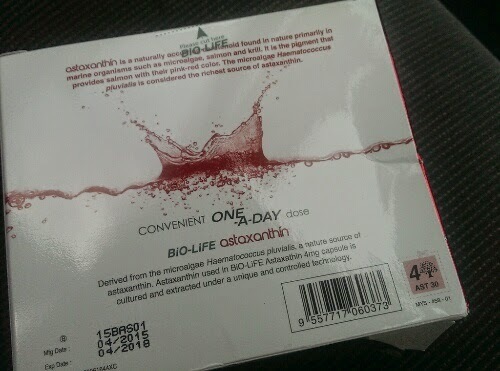 Quite an awesome antioxidant… don't you reckon? The comparisons have been made against some other incredible nutrients in their own right. 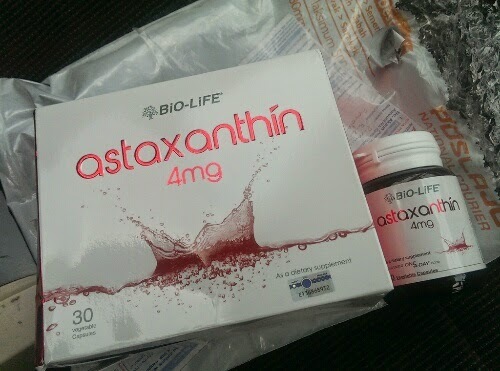 But, astaxanthin can blow them away when it comes down to effective free radical scavenging and singlet oxygen quenching. Wowwww!!! !